A good marinade recipe is simple to make and really enhances the flavor of whatever meat you are cooking. Since grillin’ season has donned, I thought I’d share my secret marinade with everyone. This is a marinade I’ve kind of come up with and added on to over the years. In a bowl, mix all ingredients together. Place steaks in a large Ziploc bag, pour marinade over the top, squeeze carefully to release any air and zip closed. Let steaks marinade, turning every so often, for at least 2 hours. Steaks can also remain in marinade up to 3 days in the refrigerator. Always be sure to discard marinades after they have been used. Never use marinade that has been on raw meat as a dipping sauce. 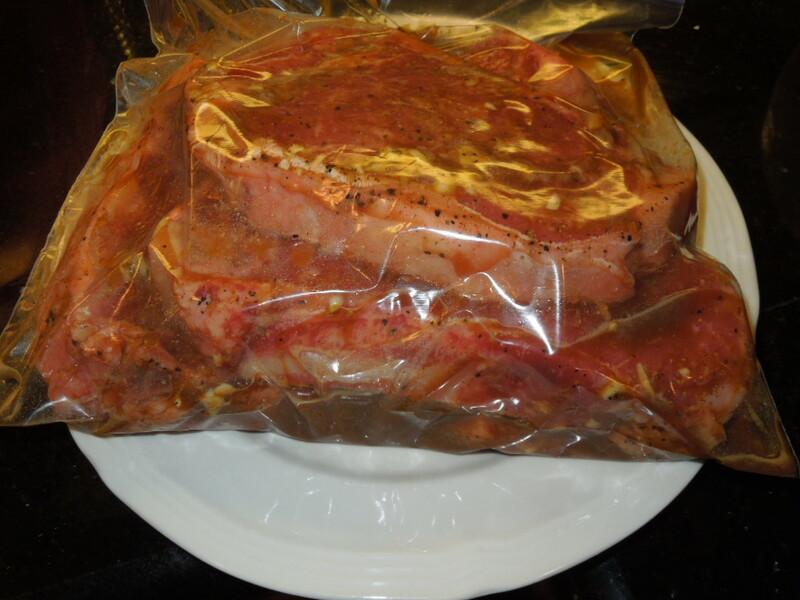 Tags: food, how to marinade steak in a Ziploc bag, marinade recipes, recipes, steak marinade recipes. Bookmark the permalink. Trish really marinades a steak like nobody’s business! Yum.